Summertime, camping is just plain good fun and our list of The Best Campgrounds in Michigan is going to make it easier to manage! To get outside and enjoy nature is a great way to reset your mind, body, and soul and become one with nature again. Okay, okay, maybe you aren’t looking to become one with nature, but you are looking to have fun and that’s okay too! The fact is though, that Michigan is full of wonderful places to spend a few days exploring and camping. This state is surrounded by some of the most famous lakes in the world, we have stunning sand dunes, forests, and mountains. Michigan has awesome opportunities year round for outdoor activities too! 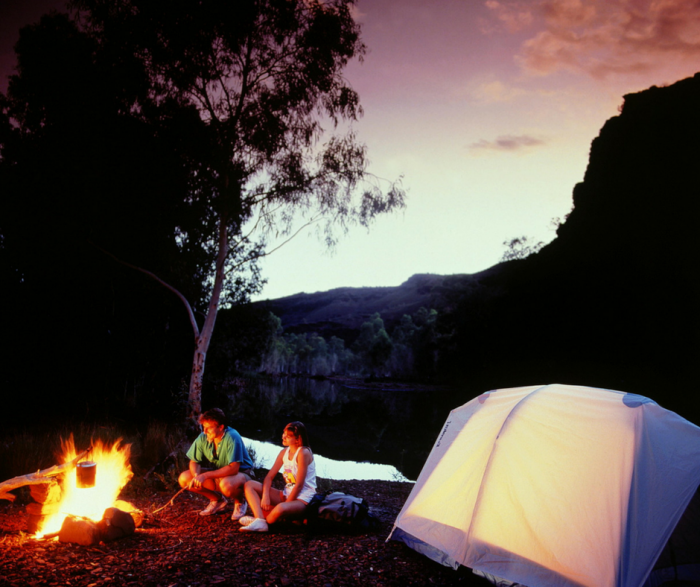 Depending on what you like to do when camping, you can find an opportunity for just about any activity. Like kayaking? Michigan has you covered. Want to go hiking or rock climbing, we’ve got places for that. Do you like to fish? Um, hello we are surrounded by lakes! Seriously, the possibilities are endless. 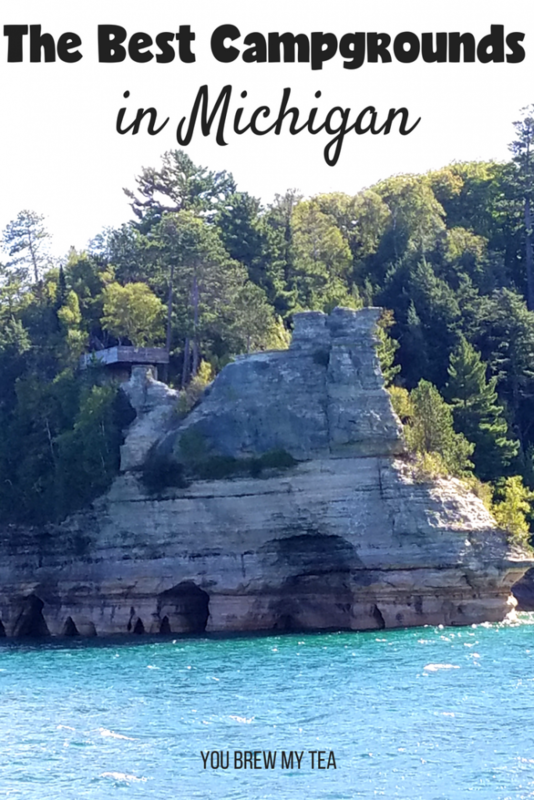 If you are ready to start planning your upcoming camping trips, I have narrowed down a list of 10 of the best campgrounds in Michigan to give you some ideas of where you should pitch your tent in this great state. Don’t forget to pack our preferred Coleman Evanston Screened Tent, Coleman Propane Camp Stove, Coleman Camping Air Mattress, and a Camping Cookware Set to take all the comforts of home with you into the great outdoors of Michigan. Is there anything more beautiful than sandstone cliffs that have multi-colored layers? In addition to the gorgeous cliffs, Pictured Rocks National Lakeshore is home to sand dunes, waterfalls, beaches and more. This area on Lake Superior boasts of activities such as fishing, boating, kayaking as well as camping. It also features a museum, a lighthouse and a visitor’s center in case you feel like learning while you are there! If you find yourself at this park in the winter, it is famous for ice climbing, in case you are feeling brave. With a name like Wilderness State Park, how could you not want to camp here? This campground features over 10,000 acres and campers can enjoy activities such as fishing, biking, hiking, and swimming. Interlochen State Park is perfect for campers who like fish or swim as the park itself features two different lakes, Duck Lake and Green Lake. The park also features a stunning Pine Stand, that was the focus of establishing the park in the first place. 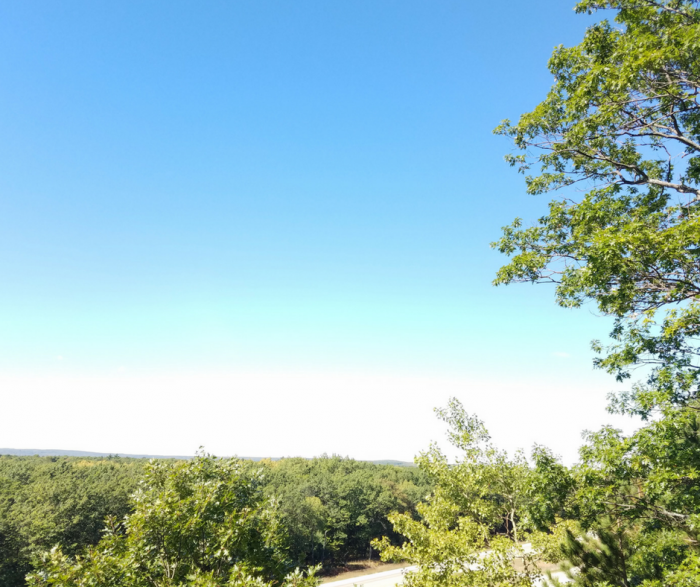 An interesting note is that Interlochen State Park was actually Michigan’s very first state park (originally named Pine Park in 1917). Giant sand dunes are one of the most beautiful natural sights that you will see in Michigan and this park has many of them. At Sleeping Bear Dunes National Lakeshore, you can explore these dunes on your own or with the help of a tour guide. You will also find quite a few beaches great for swimming or sunbathing. You can also walk through a forest filled with maple trees. This is another great park that features a museum! This one is a Maritime Museum that has some really great shipwreck stories and activities for the kids. Tahquamenon Falls State Park features over 50,000 acres and is very primitive, perfect for those who really love getting back to nature. What makes this park especially amazing though is the waterfalls that are here within the Tahquamenon River that is the main feature of the park. The Upper Falls more than 200 feet wide and drops almost 50 feet down. There is a paved walking trail that leads to the falls so you don’t have to do too much hiking if you aren’t into that. The Betsie River Campsite is a great campground for those of us who want to take our camping trips like we used to. Their website even states that it is “Camping like they did it in the 70’s.” There are stunning nearby beaches for swimming and world-class fishing on site. Turtle Lake Campground has been in existence for over half a century and has been has been family-owned since the beginning. This campground welcomes you for horseback riding, kayaking, fishing, biking and more! 40 acres full of outdoor fun. 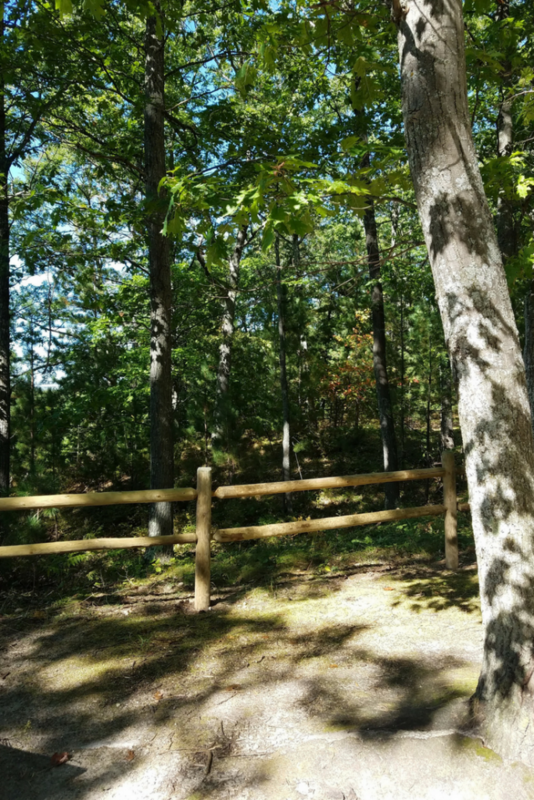 The D.H. Day Campground is near Sleeping Bear Dunes and is great for Summertime camping. 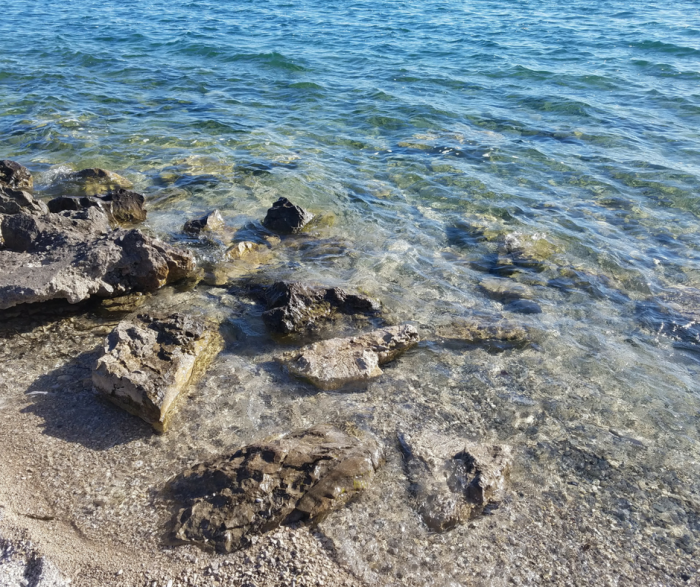 There is plenty of beach to walk and enjoy or to relax and swim in the warm waters. 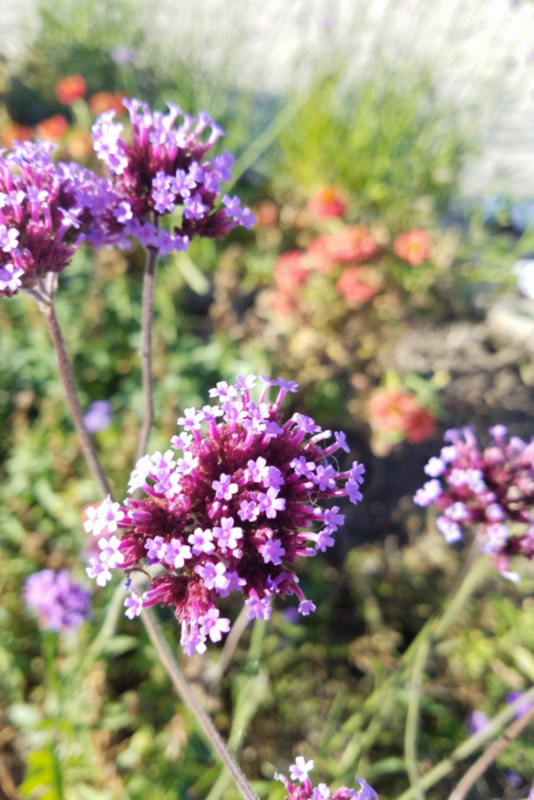 This campground is also relatively close to town for those of you who live to do some city exploring, or like to go out to dinner during your camping trip. If the Mouth of Two Hearted River State Forest Campground sounds familiar to you, it may because Ernest Hemingway actually used this for a story title. This campground is just right for fishing enthusiasts because you can literally throw your line in from your campsite. Beachcombing and agate hunting is also a favorite activity for the Mouth of Two Hearted River State Forest campers. Fisherman’s Island State Park is the ideal campground for those who like to feel alone with nature. Why? Well, there are over 2500 acres, yet only 75 campsites. There are over 4 miles of beach for swimming, sunbathing or beach walking. As you can see, there is a ton of variety in Michigan. 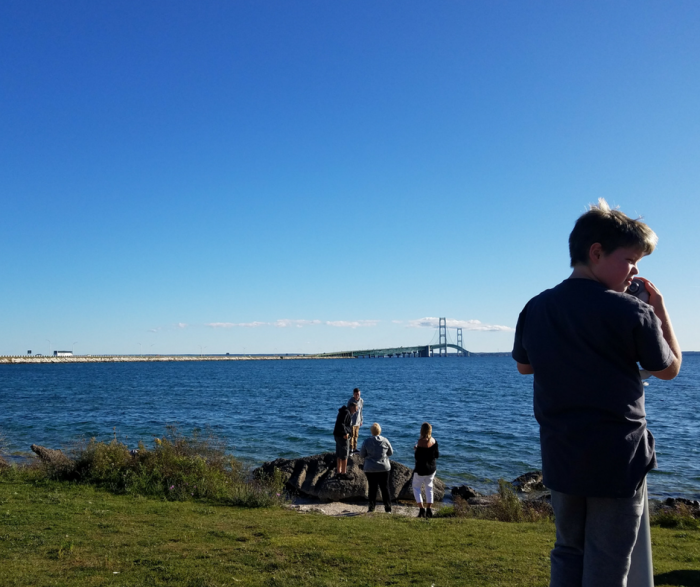 This list of best campgrounds in Michigan is a great place to begin planning your next trip to the Mitten State. Camping in Michigan is different than any other state. It’s a perfect state with great temperatures, tons of beachfront campsites, and amazing beauty. Take advantage of the parks above to create a camping experience your family will love. Have you ever gone tent camping? If so, you know you really need to have a good plan in place for packing. This Tent Camping Packing List is a perfect list to make sure you don’t arrive in the outdoors without must-have items. Making sure you have everything you need is a must. Especially if you plan to hike out into nature with no convenience stores nearby! You’ve decided to try to rough it in the great outdoors and now you need to figure out what exactly to bring. There are a few key things that you absolutely need and then others that just make life a little easier if you have them. A lot of what you need depends on how long you are going to be camping for, in what season, and if you will be near a town or not. 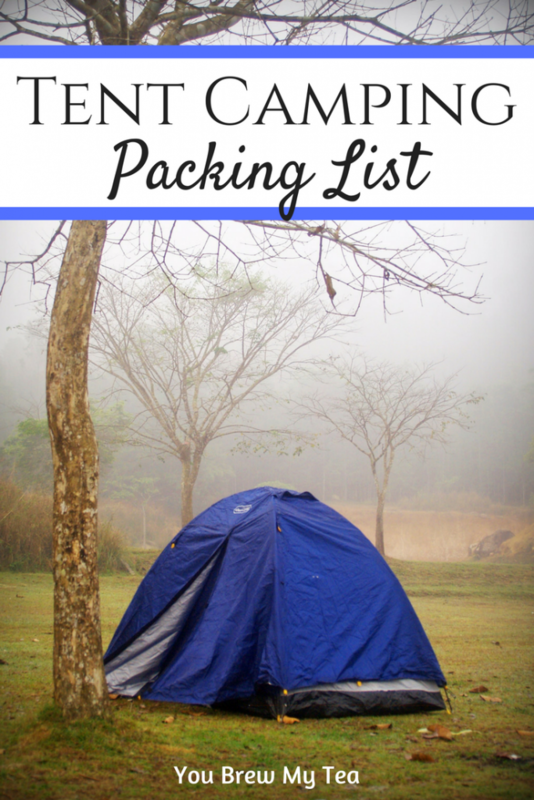 This is a good list of what to pack for your first camping trip. Tent camping can be a wonderful adventure and learning experience no matter your age. You can go completely rustic and throw a tarp over a few sticks as a simple shelter, or pack a pup tent that is just enough room for one person. We much prefer a bit fancier tent option that has tall ceilings so we aren’t bending over constantly, as well as individual rooms for some added privacy. There are literally tents for any and all needs. Some of our top picks are below. 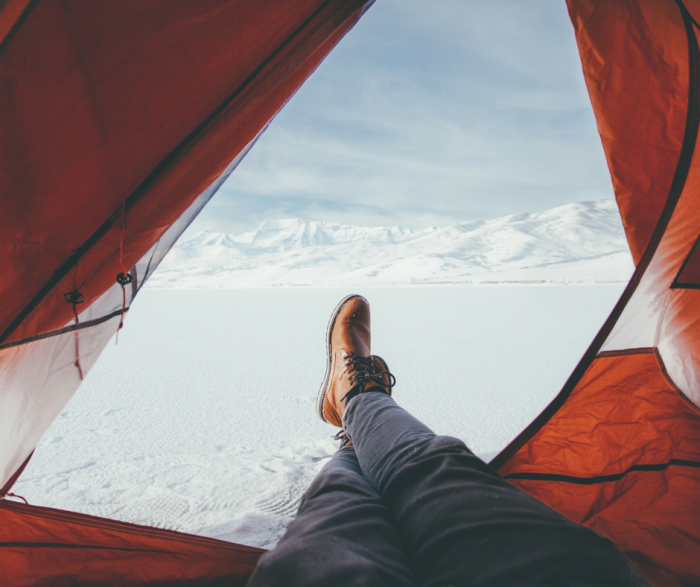 You may think a sleeping bag is all you need, but tent camping often brings different needs when it comes to proper sleeping gear. First, you need to determine the weather situation for when you will be camping. Colder weather requires much different bedding than the summer months. There are a number of sleeping bags you can check out that we will list below, but you may also be interested in foldable cots, or even an air mattress. A tent, no matter which you choose, is still going to leave you laying on the ground. That’s where these items make your sleep much more comfortable and manageable while on the trails or out at your favorite state park camping. We only camp when we have access to a bathroom and bathing facilities. State parks and designated camping areas are a must in our travels. That said, not everyone will have access to a traditional bathroom while camping. So, your must-have toiletries list may be vastly different depending on the type of camping you will be doing. This is just a must no matter what kind of travel you are doing. I definitely include a fully loaded first aid kit on any tent camping packing list. Everyone considers a first aid kit differently. For our family, it would include various medications, bandages, and emergency supplies. For others, it is a much larger or smaller list. No matter what you include, make sure to go prepared. Below are two of our top picks for good ready-made first aid kits. One of the best parts of camping comes when you enjoy the foods prepared over an open fire. Whether you are camping in luxury at a Glamping location like the ones my friend Deb shares of her 10 Favorite Glamping Destinations, you’ll need to eat. We love going simple and rustic, but some want to cook gourmet meals on their camping trips. Invest in a set of camping plates and utensils, as well as a simple set of camping cooking gear that can all easily be stored in a collapsible bag or tote between camping trips. When you go camping, laundry is usually the farthest thing from your mind. That said, depending on the time of year you head out to explore, you will need a dry bag and a wet bag for garments. If you are going swimming, or just going hiking, things might get wet and stinky. If you want to keep things separate for easier cleaning down the road, these are a must. Wet and dry laundry bags are a must in my camping kit. While you may have plans to hike, fish, hunt, or swim during your camping trip, there will be some downtime. Taking along games and entertainment is really important, especially if you plan to have kids along for the trip. We have always packed the simple things like card and board games, coloring books, magazines, and books to read. If you have access to a charging device, you can pack game systems or phones as well. Just remember to pack a spare cable and charging brick just in case! Camping is a wonderful family activity. This tent camping packing list contains just a few of the basic items you will want along for your next camping trip. 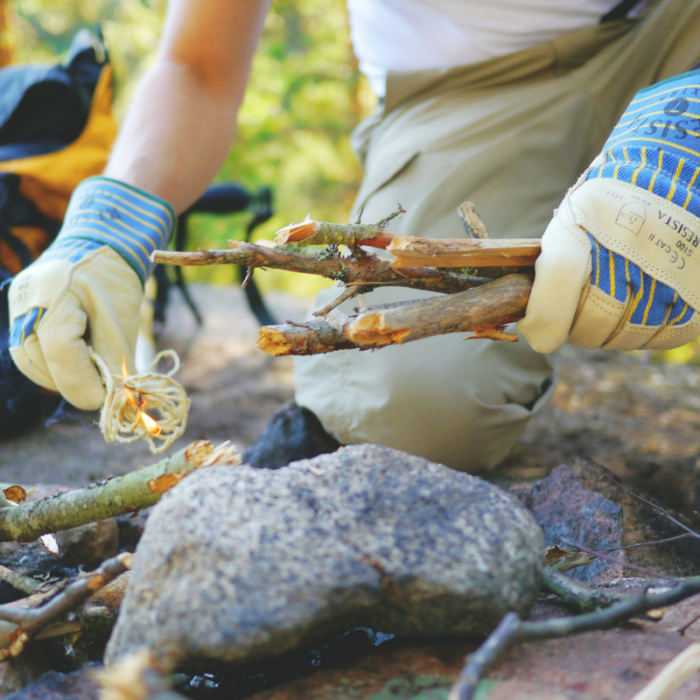 Whether this is your first time camping or your one thousandth, you can always use a refresher before heading out for a new adventure in the great outdoors. 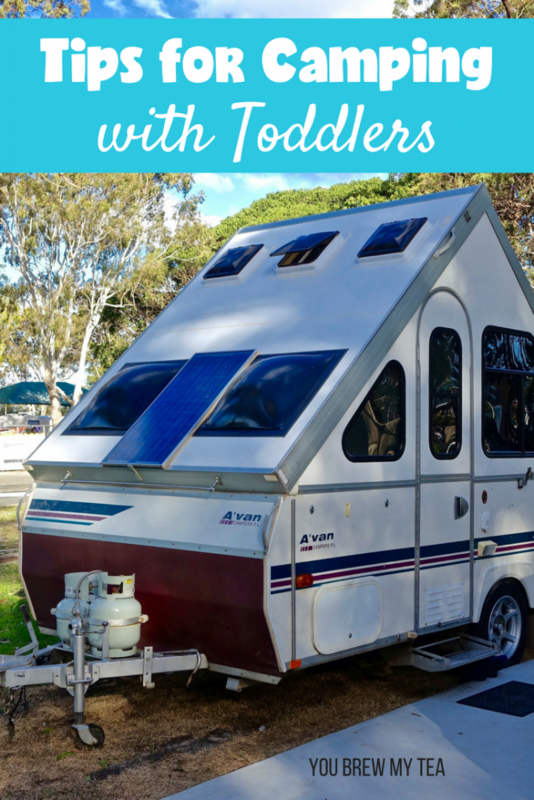 Whether you are planning a camping trip for Spring or Summer, here are some Tips for Camping with Toddlers. While it sounds difficult, it really isn’t that bad. In fact, we love taking our toddler with us because the adventures he has reminds me a lot of going camping when I was a kid. This post contains affiliate links. I earn a small commission when you may a purchase through these links. Easier said than done I know. Keeping an eye on them is important obviously but there is no need to have scheduled activities. Most campgrounds have parks for you to visit and trails for you to hike on. Enjoy the time outdoors and let your little one explore. Camping is all about exploring and being outside. Let them jump in the mud or dig in the sand. There is no better way for them to learn about their surroundings than to immerse themselves in it. Sure, they will get dirty but, what fun is camping without getting just a little bit dirty? Grab some fun sand castle building tools if you plan to be near the beach, and some bug catchers or other containers to store critters in that they discover on their hikes. Take the time you have while camping to be present with your child. Put your devices away and play with them. Take them on a hike through the woods or, just let them run. We are on our devices way too much while home, this is the time to be present with your toddler and make those memories with them. I know this one sounds obvious but, I wanted to remind you that while being prepared to also keep it simple. While daily meds are a given, I also bring both tylenol and ibuprofen with us as well. Plus, one outfit per day. I also bring 4 extra pairs of pants and socks just in case my toddler gets wet or muddy. I bring a small pencil box with bandaids and neosporin in it in case he falls and scrapes his hands or knees. When it comes to being prepared that’s about all I bring. I don’t bring much else because the more I have to lug with me the harder it becomes. If your toddler is anything like mine, they will pretty much just want to snack the whole time. Snacking isn’t a bad thing. Sometimes, kids even take in more food when they are allowed to snack more frequently instead of just eating meals. Keep up with your normal meals (with regular mealtimes) and offer them to your toddler. It is likely they will only snack on their food because they are too busy wanting to explore. This means they will be asking for food again shortly. Keeping healthy snacks like granola bars, rice cakes, and fruit chips ready to grab is helpful. We also have some fun not so healthy snacks as well since it is a vacation. Naptime can be a challenge. Keeping their routine and naptime the same (as much as possible) will help. It may take them longer to fall asleep because they don’t want to miss anything but, be patient with them. Keep in mind that their naps may also be shorter. This is okay. The fresh air will help them to crash hard at night. There is plenty to do while camping to not need to bring any activities or toys with you. Most campgrounds have a playground to play at and some even have trails to hike. If the campground you go to doesn’t have either of those that is okay too. You can make a scavenger hunt to go on with easy things like “a bird”, “a tent”, and “a red leaf”. Those things are simple for a toddler to find but, will also get them excited to go for a walk around the campground with you. I do usually pack my iPad and a couple of toys but, those are only pulled out on a rainy day when we would be stuck inside the tent or camper. Camping with toddlers can be stressful at times because let’s be honest here, being home is just easier. However, getting them out and experiencing new things with them is so much fun. While it does sound stressful it really isn’t all that bad. We loved going camping with kids and now that there is a toddler in the mix it is like it’s all brand new again. Enjoy your time as a family exploring and learning new things.